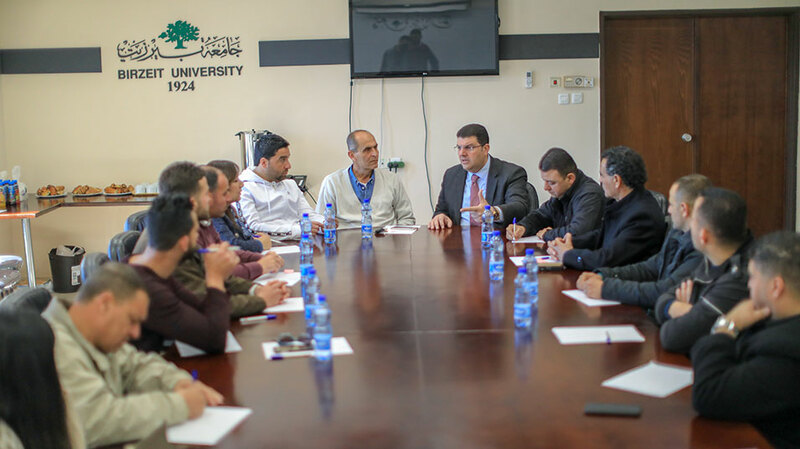 Representatives from nine Palestinian universities gathered at Birzeit University on Saturday, March 9, 2019, to discuss future sporting events and leagues in a meeting of the Palestinian Collegiate Sports Association. Coordinators and delegates from Al Istiqlal University, the Arab American University, Bethlehem University, Al-Ahlia University, Al-Quds University, Modern College University, the Palestine Polytechnic University, An-Najah National University, and the Palestine Technical University − Kadoorie explored holding and organizing joint sporting events at all the partner universities. Mohammad Al Ahmad, dean of student affairs at Birzeit University, stressed the role of the collegiate association in bringing together Palestinian students and physical education instructors.